Dr Abhay Agrawal is one of the foremost leaders of Laparoscopic and Bariatric Surgery. He took up Bariatric Surgery in its nascent days and has played a significant role in growing this specialty it to the level it is at today. In 2002, Dr. Abhay was one of the first in Mumbai to perform Sleeve Gastrectomy, which is one of the popular type of Bariatric Surgeries today. With 4000 Laparoscopic Bariatric procedures under his belt, as of 2017, Dr. Abhay ranks amongst the top 5 individual surgeons in India terms of total number of Bariatric Surgeries performed. Dr Abhay is a world-class expert in all types of Bariatric surgeries: Mini Gastric Bypass, Roux- en- y Gastric Bypass, Sleeve Gastrectomy and Ileal Transposition (Diabetes Surgery). He is one of only two surgeons in India to regularly perform Laparoscopic Diabetes Surgery, referred to as Ileal Transposition or Ileal Interposition by doctors. In this procedure a small piece of the last part of the small intestine is taken out and grafted in place of the first part of the small intestine. This helps prevent excess sugar absorption by the body and is effective in curing diabetes in non-obese patients too. In 1995, when Dr Abhay first started performing Laparoscopic Surgeries, less than 1% of surgeons were exposed to laparoscopy. Since then, he has performed more than 25,000 basic and advanced laparoscopic procedures. Dr Abhay is one of the first and amongst the few surgeons in the world to be conferred with the distinguished status of International Surgeon of Excellence from the US-based non-profit accreditation organization, Surgical Review Corporation (SRC). This accreditation certificate was awarded to him after a stringent audit of his center that included checking the patient data of the previous 5 years for safety, efficacy, of complication incidences, re-operation etc..
Dr Abhay is an internationally renowned faculty in training other surgeons and is frequently invited to present scientific papers at global conferences at places such as the UK, Germany, China, Vienna etc. The Society of Asia Pacific Obesity Surgeons, recognized Dr. Abhay’s proficiency in Bariatric surgery and he was amongst only four Indian surgeons to present a paper on his experience at the Asia Pacific Obesity Conclave in Shanghai, China in March 2008. He has published papers in several national and international publications and has participated as Speaker/ Panelist/ Delegate at a large number of seminars, workshops and conferences. Through training sessions at Johnson & Johnson and Medtronic Institutes for surgical education, Dr Abhay partners with industry to impart surgical skills to young surgeons from across the country. He received specialized training in advanced laparoscopic Bariatric surgery and Robotic surgery from experts in France, Austria and USA. He completed his Fellowship in Bariatric from Clinique de Savegarde in Lyon, France, a leading hospital with the highest number of Bariatric cases in the world. He then went on to complete an advanced Fellowship in Bariatric at the prestigious Cleveland Clinic, USA under the mentorship of Dr Raul Rosenthal, who is the world renowned in Bariatric Surgery. He is trained by the doyens of Laparoscopic Surgery in India and abroad, such as Prof. A. Cuschieri (U.K.), Prof. Jacques Perissat & Dr. Jean-Louis Dulucq (France), Dr Michel Gagner (USA) and Dr. J.B. Agrawal. After completing his Masters in Surgery, Dr Abhay commenced his career as a Surgeon in Mumbai. He also holds a Diploma in Hospital Administration from the Indian Institute of Management, Ahmedabad. Dr Abhay sets an example for his patients with his own fitness regime of a healthy diet, and regular exercise. Dr. Jugal Agrawal is a significant pioneer of laparoscopic surgery in India. The many firsts to his credit include laparoscopic sleeve gastrectomy, total extraperitoneal repair of hernia and splenectomy. A person who maintains a subtle profile, Dr. Agrawal’s proficiency in the field of endoscopic interventions has won him significant accolades in the professional arena. Dr. Agrawal’s journey of pioneering laparoscopic surgery in the country commenced in1971, when he obtained his Masters’ in General Surgery from the University of Bombay (standing second in the overall merit list). Use of G.I. staplers (in 1981) and also performing the Sugiura procedure with staplers. In 1991, though the second surgeon in India to perform a laparoscopic cholecystectomy(1989). Laparoscopic procedures like rectopexy (October, 1996); splenectomy (March, 1995); total extraperitoneal repair of hernia (1996); nephrectomy; gastropexy (in 1999); laparoscopic sleeve gastrectomy (2002) and morgagni hernia (in 2006). Currently, Dr. J.B. Agrawal is Hon. Gastrointestinal and Laparoscopic Surgeon at Jaslok Hospital & Research center, and the Asian Heart Institute & Research center, both located in Mumbai. 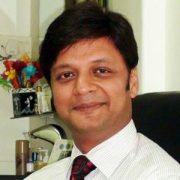 He is Chief Gastrointestinal and Laparoscopic Surgeon at Bhakti Vedanta Hospital and the M.G. Global Hospital, also in Mumbai. He is also visiting Laparoscopic Surgeon at K.E.M. Hospital, Parel, and Faculty Member at the Ethicon Institute of Surgical Education, Mahim. Earlier, he was Hon. Gastrointestinal and Laparoscopic Surgeon at Lilavati Hospital & Research center, and Chief Hon. Surgeon at M.W. Desai Municipal Hospital, Malad (since 1976). He has conducted numerous workshops on G.I. stapling all over the country, and nearly 100 workshops on laparoscopic surgery. With over 50 scientific papers in various national and international journals to his credit, Dr. J.B. Agrawal has participated as Guest Speaker/Panelist/Delegate in nearly 200 national and international medical meetings. 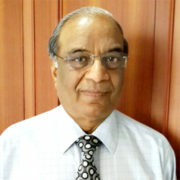 Founder Secretary of the Indian Association of Gastrointestinal Endo-Surgeons (I.A.G.E.S.) in 1993, he has played an extremely significant role in propagating laparoscopic surgery in India. 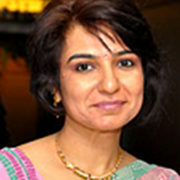 Dr Saumya Agrawal takes the patients through the pre and post operative journey and guides them through the various lifestyle adjustments that bariatric surgeries entail.She conducts support group rendezvous for old and new patients and co-ordinates the pre and post operative management of the patients. As she has herself undergone bariatric surgery performed by Dr. Abhay Agrawal, she is ideally placed to empathise with the patients’ challenges and specific requirements. She has lost the desired weight after a Sleeve procedure and is very enthusiastic in helping others achieve their target. Mrs. Swati Dhingra Chawla, a Postgraduate in Clinical Nutrition and Dietetics and a Certified Yoga Trainer has 7 years of broad expertise working in the field of nutrition & dietetics in all aspects of nutritional counselling, health care and medical nutrition management. 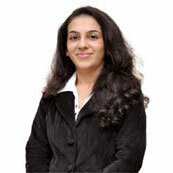 She has handled patients from new-born to old age and excels at her counselling skills. Her objective is to invest the best of her knowledge and experience which play an important role in improving the standards of health care. She has been reshaping lives with practical and easy to follow nutritional plans. She brings great enthusiasm about nutrition whether leading group classes or providing one-on-one counselling to clients regarding weight loss, meal planning, disease prevention and management and nutrition education providing with recommendations for food choices, portion sizes and eating behaviours and ensuring that you maintain a nutritious diet specific to your health. She is qualified to give dietary advice for acidity, anaemia, arthritis, Bariatric surgery, cancer, diabetes, gall stones, gastric diseases, gout, hair and skin problems, heart disease, high cholesterol, high blood pressure, kidney disease, liver disease, menopause, osteoporosis, pregnancy, surgery, weight gain, weight loss, all kinds of medical conditions etc. Providing nutrition services in a convenient manner as per patients comfort, making use of digital technology, so that patients can get the care they need at the tip of their fingers and without having to take time off from work. She has been actively involved in organizing and conducting nutrition educational seminars for parents of preschool, school children, conducting theme based corporate health camps and diet consultations. She has expertise in handling cancer paediatric nutrition too. Also, due to her passion towards the science of nutrition, she loves to write articles and blogs disseminating nutrition and health education to the society. Her motto in life is: – “Eat well, live well, Stay fit & healthy”.